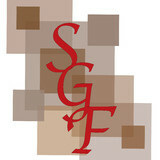 *Authorized Dealer of Shaw Floors* Carpets Plus in St. George carries top brands on the market today. With our staff continually researching the latest products with the best quality, you will find them featured in our showrooms. We carry flooring by Bedrosians, Shaw, and Mohawk, Flooring; window coverings by Hunter Douglas, Mariak, and Polar Shades; Quartz and Granite countertops, and appliances by Kitchen-Aid, Maytag, Whirlpool, and Amana. Whatever it is you are searching for, Carpets Plus can make it happen! You will find the widest selection of the most up-to-date appliances for the kitchen, bathroom, and outdoor barbecues. If you need flooring, dive into our vast selection of tiles, laminates, carpets, and hard wood selection. We carry window coverings, granite, and quartz countertops and much more. No other place in St. George offers the best selection of home material being featured in new home construction today with the type of customer support we provide. 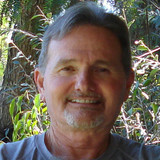 I have been in the wood floor business for over 30 years serving the residents of Cedar City to St George, Utah and surrounding Southern Utah communities. I sell and install solid and engineered wood floors, sand and finish as well as refinishing of existing floors. My motto is to install floors in ways that make the floor last the life of the house. That is created by exceeding all the installation specifications designed into the installation. I am unique in that I personally am involved on a daily basis with each and every project. I install, finish and refinish along side my employees throughout the day. I do not send subcontractors or employees out to your house unsupervised. My 30+ years of experience is on your project from start to finish. View my website provided on this page next to my phone number for further details. Start with our Custom Design Assessment to find the perfect floors for your project. We offer a wide variety of commercial and residential carpets, laminates, and resilient vinyl products. We are flooring experts, we can help you choose the flooring that will work for your home. Do you want a carpet that is so soft it makes your feet happy, yet durable enough to survive work boots and golf shoes? How about a hardwood floor that resist scratches and scuff marks? Hardwood and Prefinished floor installation, sanding and finishing. Maintenance of existing floors. Sale of Engineered and Luxury Vinyl boards. Make Sunset Flooring of St. George, UT your source for beautiful hardwood floors, tile, carpet, laminate flooring and high quality window coverings. Stop by our showroom to see our full line of flooring options and flooring ideas in a wide selection of colors and styles. We also carry a variety of cabinets, countertops and sinks. Our helpful and experienced staff can help you select the floor, kitchen countertop, kitchen sink or bathroom cabinets that are right for your home and your budget. When you’re looking to bring the warmth of hardwood floor, the durability of ceramic tile, the comfort of carpet, or easy-to-maintain laminate flooring into you home, call Sunset Flooring today! We provide professional flooring installation at affordable rates! We also provide a variety of other products and services including window coverings, cabinets and countertops. Interested in a kitchen or bathroom backsplash? We can help. Call today to schedule your free in-home estimate! Eagle Ridge Floors to Go takes care of all flooring needs. We offer an array of Carpet, Hardwood, Luxury Vinyl, and Tile. We also have in-house installers. 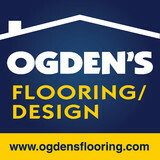 Call to schedule a free measure in the Cedar City area. Brian Head and other surrounding areas can be accommodated as well. What kinds of services do hardwood flooring installation professionals in Saint George, UT provide? Find hardwood floor experts in Saint George, UT on Houzz. Search the Professionals section for Saint George, UT hardwood flooring installers and dealers or browse Saint George, UT photos of completed installations and look for the professional’s contact information.